My book, Introduction To Rug Hooking, is packed full of information for beginners. Everything that I would teach in a beginner class is here…information on tools (hooks, frames, scissors), how to choose and prepare wool, alternative rug hooking materials, how to draw a pattern, how to finish your edges, how to care for your rug, and of course, how to hook! At the back of the book is a glossary of terms and a list of resources. There are 8 projects included in the book. Every one of them includes the pattern (designed by me), a list of materials, and the complete instructions with step-by-step pictures. There are over 400 photos in this book! The projects start with the very basic and progress to the more advanced. I walk you through every step of the way. Each project teaches a different technique or stitch, or gives a hint to make your rug hooking journey a little easier and more satisfying. I also sell Red Dot Tracer so you can conveniently trace the patterns from this book onto your foundation cloth. I am hoping that beginners will find this book invaluable and refer to it often. But it is not just a book for beginners! Experienced rug hookers will love the patterns too, and I hope they will also find the techniques useful and inspiring. 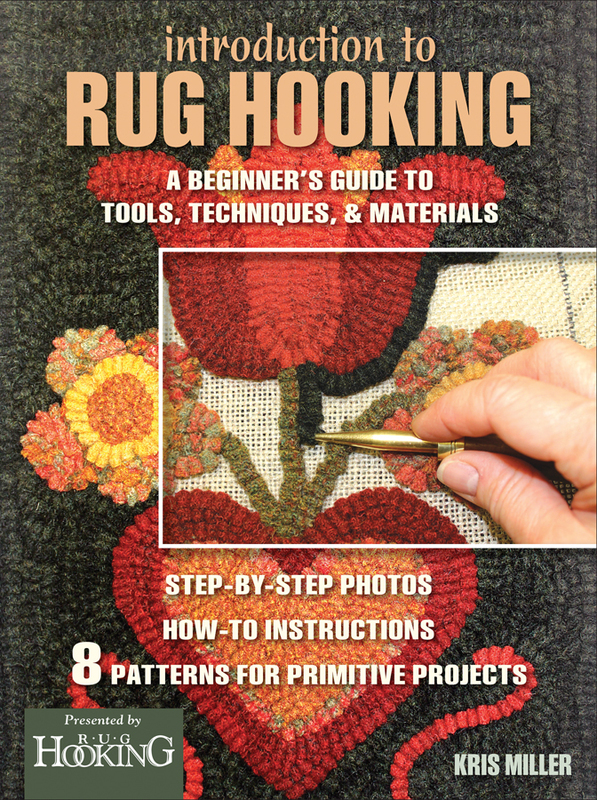 This is a must-have book for your rug hooking library.